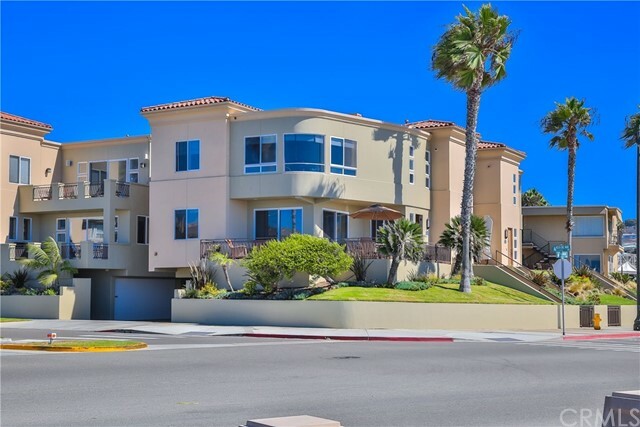 Prime corner location on the south end of the esplanade with unsurpassed ocean, white-water views from palos verdes to malibu. Located just steps to the beach and a short walk to the riviera village, this dream home sits up high from the street and provides a front row view to the gorgeous beach with a huge wrap around deck off living room. The open living area featuring hardwood floors and fireplace. Ocean views fill the gourmet kitchen, dining, and living area - double sliding doors open out to the deck. Ocean views from the master suite will take your breath away — master bath includes a walk-in closet, separate shower, dual sinks, and even the tub has ocean views. Laundry room comes complete with washer/dryer and there’s direct access to the two-car garage. This home is a showpiece for those who demand the very best. Location, location, location. Beautiful townhouse in a 5 unit complex in city of redondo beach bay!! Ocean view from the living room and one master suite with 2 large ocean view balconies that call you to sit and relax, breath in the fresh ocean breezes and enjoy the views. 2 masters suites located on the middle floor with bathrooms that have new cabinets, new counter tops and new fixtures. Top level is an open floor plan featuring laminate wood floors, high ceilings with wood beams, fireplace, dining area and open kitchen with gorgeous custom cabinets, granite counters w/ space for counter seating and new stainless steal appliances. New interior paint and new carpet throughout. Direct access to attached private double garage with large walk in storage room, guest parking also available distance to the beach!! 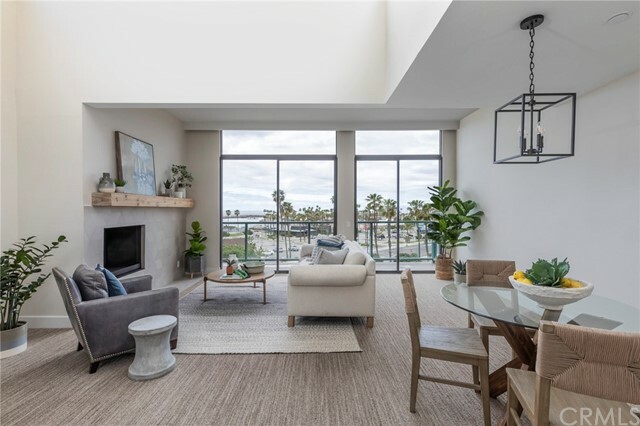 Redefining luxury living on the redondo beach waterfront, this fully remodeled seascape 2 penthouse is a masterpiece of style, sophistication, light & panoramic ocean views. Every inch of this 1,241 sqft (btv) home has been updated to the highest standards. The kitchen features all new cabinetry, gorgeous quartz countertops, tile backsplash, brand new stainless steal appliances, & a separate pantry/laundry room with stackable washer & dryer. The bathroom features new cabinetry, new dual vanity with quartz countertops, a new oversized, glass enclosed shower & separate tub. The spacious master bedroom features a wall-to-wall mirrored closet with a fully modular organization system. Light-filled open floor plan living/dining area with cathedral ceilings & sliding glass doors that lead to the large, private balcony. Beautifully tiled fireplace with natural wooden mantel. Spiral staircase leads to the large loft, a versatile space that could be used as a second bedroom, office, or an entertaining area to enjoys the spectacular top floor views. A second deck is accessible from the loft, providing seamless indoor/outdoor living. New flooring, new interior doors, new baseboards, new canned lighting, fully painted, updated plumbing and electrical, and a nest thermostat system, this unit shows like a brand new home. Steps to the redondo beach pier & king’s harbor, & a short bike ride to hermosa beach and riviera village. This is south bay living at its best! Discover the inviting and unexpected privacy tucked away on south prospect avenue. 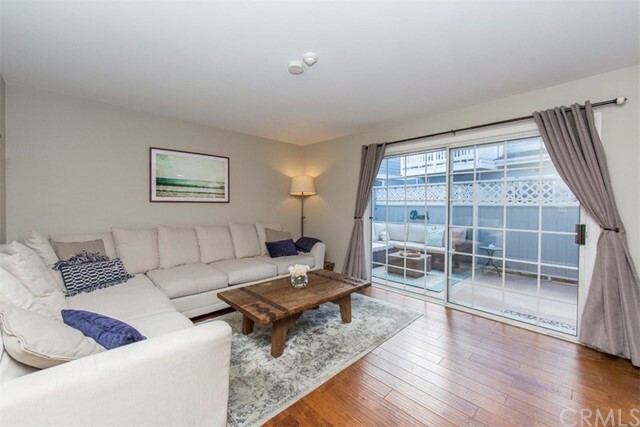 This spacious and bright rear unit town home with three bedrooms, 2. 5 baths and over 1800 square feet has surprising city, mountain and la basin views. The desirable floor plan, beautiful hardwood floors, grand windows, and high beamed, vaulted ceilings will win your heart. 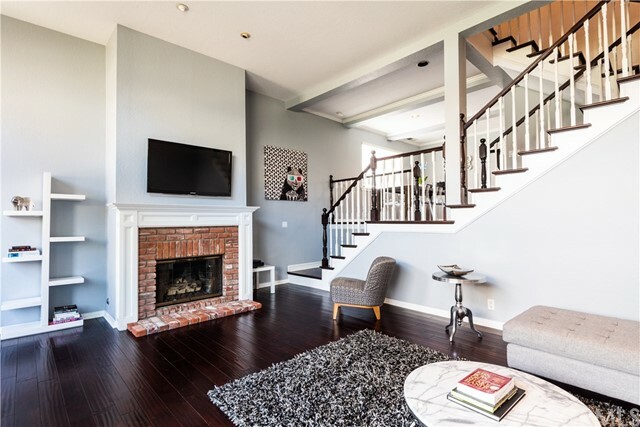 The living area features a wonderful private patio, charming brick fireplace, and a beautiful stairway. The dining room is filled with natural light and flows perfectly into the thoughtfully designed kitchen with its abundant cabinet storage, deluxe jenn-air stainless steel appliances, bar seating and breakfast area. Views from the adjoining breakfast area and fresh breezes from the balcony create the perfect setting for both casual family dinners and entertaining. Upstairs are three traditionally spacious bedrooms. The private master suite has two large, over sized closets, a sumptuous soaking tub, his and her vanities and a stylish separate shower. The private two-car garage has direct interior access and includes an additional 275 square foot, walled-off storage area. 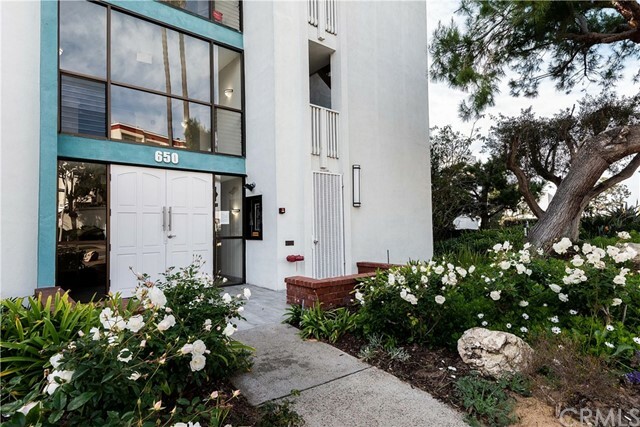 This meticulously maintained, cape cod styled town home is right in the heart of south redondo beach’s local charm, with award-winning schools, expansive beaches, highly-rated shopping and dining nearby. Neighboring parks and hiking trails are all conveniently located as well. This exceptional town home is located in a prime location, just 2 blocks to the ocean, pier and marina areas. Welcome to coastal living and walk to restaurants, harbor, pier, high school and churches. This town home is well maintained and has 2 bedrooms, 2. 5 baths, spacious kitchen with granite counters and stainless steel appliances. The pantry and laundry room are attached to the kitchen but separated by a pocket door. The dining room is spacious and adjacent to the kitchen with exterior balcony. The basement is perfect for an office, family room or theater and is located next to a large 2 car garage with ample room for storage. The upstairs bedrooms are suites with vaulted ceilings, full baths and walk-in closets. The master suite has a south facing balcony, perfect for morning coffee or a lazy afternoon nap. The living room is enhanced by a used brick fireplace and adjoining enclosed out door patio. 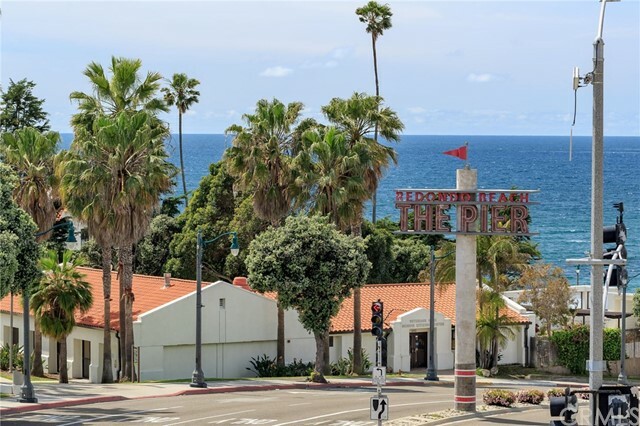 Prime location adjacent to redondo pier, across from veteran's park. Enjoy ocean and sunset views from your wrap around balcony. This amazing updated two-bedroom condo has one of the best locations in the building. You will love the convenient one level floor plan. The living room has a cozy fireplace and has an ocean and pv views. The remodeled kitchen features white cabinets with quartz countertops with a large breakfast bar, stainless steel appliances and a wine refrigerator. The master bedroom has a large walk in closet and updated master bath. "la casita" is a gated community with resort style amenities that include an updated lobby, spa, sauna, exercise facilities as well as two parking spaces + storage. Short distance to riviera village, across the street from ocean, marina, the esplanade , weekly farmers market in veteran's park, shops, and restaurants. South redondo beach living at it's finest. Price reduction - welcome home to this luxury oceanfront retreat and live the vacation lifestyle! This beautifully remodeled condo is the ideal beach retreat! You will not find an ocean view property for this price anywhere in the south bay. 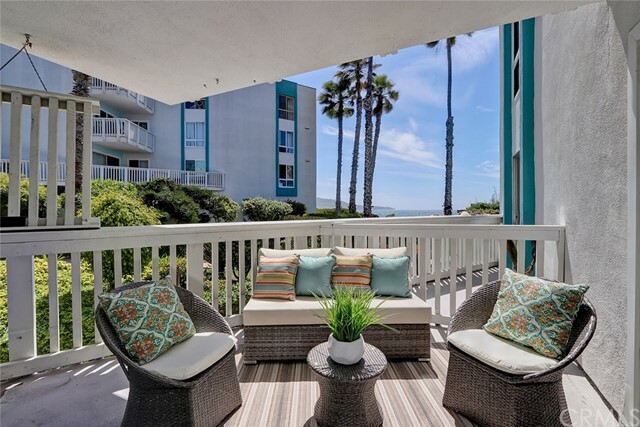 The patio and living room view of the coastline, palos verdes peninsula and the historic redondo beach library make this cozy unit extra special. This one-bedroom, one bath unit has been upgraded with hardwood floors, all new cabinets, granite counters, stainless appliances, recessed lights, new custom sliders to the patio and new paint. The bath has been re-tiled and appointed with a new carrera marble vanity and custom lighting. The bath ceiling is finished in coastal shiplap and crown molding. The unit is well designed and feels spacious with its open and accessible floorplan. The resort style community of “the village” offers multiple resort style pools and spas, ocean view decks, lush landscaping, bbq areas, state of the art fitness center and its own market/restaurant. Low hoa dues and the complex is very dog friendly with a spacious ocean view dog walk! 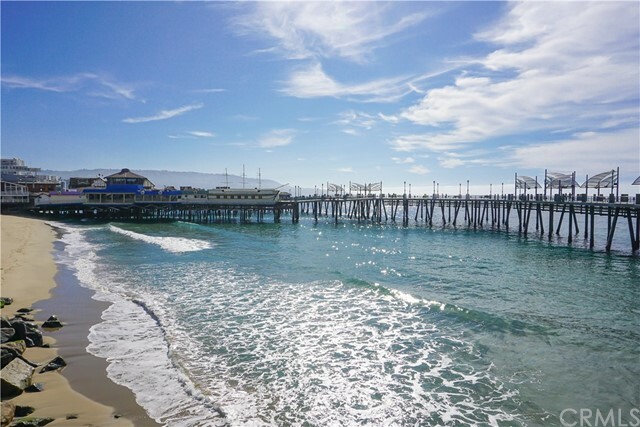 Enjoy direct access to the world-famous redondo beach pier complex and the international boardwalk. The unit comes wired for hdtv and surround sound. New owners can simply plug tv and speakers into the wall and go. The beautiful coastal furniture and décor are also available for sale at a separate price. See owner for details. Listing broker is the owner of the property. Grab this perfectly priced, well maintained, remodeled unit with ocean view! 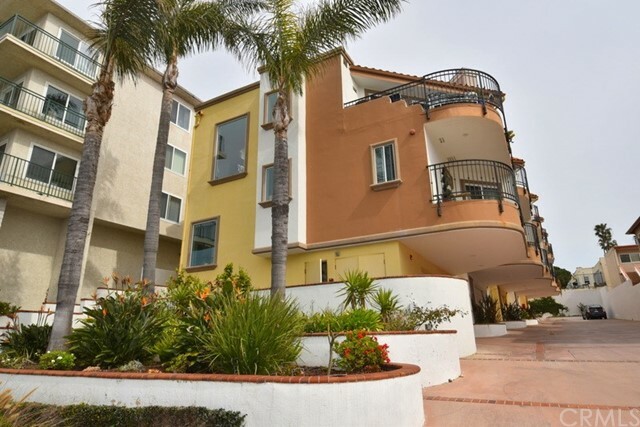 The village is one of the most affordable condo complexes in south redondo with easy access to the beach. Paint, carpet and upgraded kitchen and appliances are just a few years old. The unit has reserved parking plus guest parking pass and the complex boasts fantastic amenities, including multiple pools, spa, fitness room, clubhouse, bbq and a firepit. Please refer to the link for more information on the association in agent remarks. Also, please note that some of the photos are of the common area and the nearby surrounding community. Easy to show! This is the one you have been waiting for! Resort-style living which has views of the ocean and pv from your very own bright and sunny deck, as well as from inside the unit - ocean view relaxing and dining in your own home! Sunny deck is perfect for enjoying your morning coffee or winding down after a long day taking in the sunset. Located just one unit from the ocean front unit, this home has amazing ocean views - better than any other units currently on the market - come check it out!! This ocean-front community has multiple pools, spas, state-of-the-art fitness center, clubhouse, bbqs and a firepit. Not to mention the beautifully landscaped trails, streams and walkways with coastal views, poolside deli and a market that delivers! The open floor plan of this first floor unit features a living and dining room with views. The galley kitchen has a bar where your guests will gather and lots of cabinet space. The spacious bedroom is filled with sunshine through the sliding glass door to the deck and has a large walk-in closet. Full bathroom right across the hall rounds off the space. This is a fantastic investment property, vacation home or even a first-time buyer. Close proximity to the beach, pier shops and restaurants, the new bike path and veterans park. Riviera village is nearby for nightlife and entertainment. This is a dream come true – a must see!